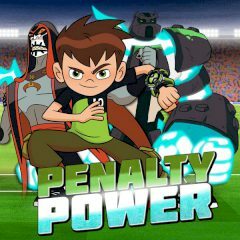 Ben 10 is going to score some goals and block them after. Swipe to complete the objective. Have you ever dreamed to help Ben 10 in his beginnings? This time he will play some football, so you must score goals and block hits when you swap roles with an opponent.